There’s been little to cheer in the Seattle Mariners’ 35 years of existence. There’s the “Mendoza Line,” named for the sub-.200 hitting Mariners shortstop. Former Mariner Ken Phelps broke up a perfect game bid by Brian Holman with a home run with two outs in the ninth 22 years ago. They are, along with the Montreal Expos/Washington Nationals, the only franchise never to have even made it to the World Series. It took them until 1991, their 15th season, to even get to a winning record. That was promptly followed by a string of two world championships by the Toronto Blue Jays, who joined the league the same season as the Mariners. Despite racking up the sixth-best single season winning percentage ever, in that glorious 2001 when the team won 116 games, the Mariners missed the big show by losing in 5 games to the Yankees in the ALCS. And in 2008, the Mariners were the first $100 million payroll team to lose 100 games (101 to be exact). And so it’s come to this: the Mariners are the victims of the 21st perfect game. So accustomed to failure are the Mariners fans that they were actually cheering for Chicago White Sox pitcher Phil Humber in the ninth inning. So what ignominy comes next? One shudders to think. When Will “The Collapse” Stop? The brooms were out to get the Braves to end the 2011 season. Looks like they haven't been put away in 2012. “Epic” was the word used to describe the Braves stepping aside in September and handing their spot in the playoffs to the surging St. Louis Cardinals. Maybe it was meant to happen, people in the organization may have thought. After all, the Cards won the World Series. It’s like finding out that the guy your ex-girlfriend dumped you for ended up marrying her. There’s some minor solace in knowing you were just impeding fate. The thing is, while we stayed largely the same, much of our division is improved. (I use “we” because I cut work, dropped 60 bones, and went to opening day at Citi Field to support my team. They rewarded my fandom by scoring zero runs.) The Marlins rep just Miami instead of the entire state of Florida, and added Jose Reyes, Heath Bell, Mark Buehrle to their roster. The Nationals have Stephen Strasburg back and are bound to get a better year out of Jayson Werth. 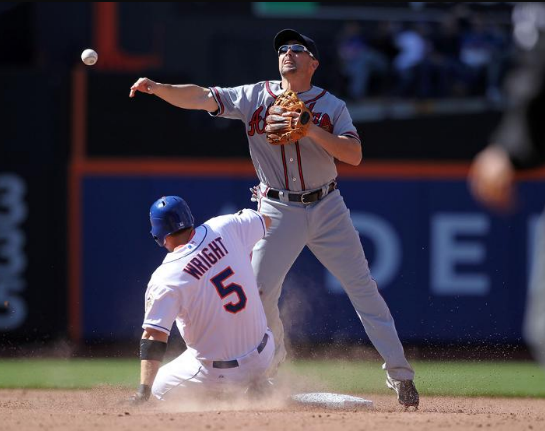 With the loss of Reyes, the Mets, basically sport a minor league lineup surrounding third baseman David Wright. We shouldn’t be losing series to these guys, much less be getting swept by them. I know it’s early, but, this means we were swept in the last series of 2011 and the first of 2012. My faith in Fredi Gonzalez, who barely had to interview to be the Braves’ skipper and faced no competition in getting the job, was already shaken. I’ll be looking for his scalp by midseason if we aren’t hitting any better. The collapse was epic. This coda is unnecessary. 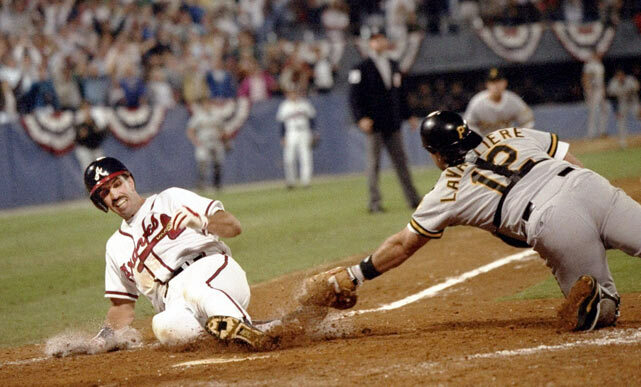 The 1992 National League Championship Series was a high point in a 15-year string of dominance that netted the Atlanta Braves one piddly World Series title. Excepting those two games played in Japan last week, which no one seemed to notice, I feel confident proclaiming that baseball season is upon us. To mark the occasion, I recruited a very old friend of mine and fellow Braves fan to put together a recap of the greatest decade-plus of sports fandom ever experienced by people who admit to others that they’re from Atlanta. It was also, as you can imagine, one of the most frustrating spells in the history of sports appreciation, as multiple World Series that seemed to be within a tomahawk’s chop of being ours were frittered away (or just stolen). The end of the Braves/Mets game last night was an insignificant game in the 2006 season, but was a pretty big milestone in the history of the Atlanta Braves franchise, the MLB, and sports in general. The loss mathematically eliminated the Braves from the postseason, ending a decade and a half of dominance over the rest of the National League and, at times, the entire majors. The Braves won the NL West Division title in 1991 and went on to win another 13 straight division titles. Those 14 years covered the majority of my formative years, and I can usually recall a Braves memory associated with significant parts of my personal life. After this loss, I thought back on all the seasons and recapped what I remember of the postseason for each division title (yes, postseasons only because outside of a few broken records, fights and mostly lame All-Star games, the postseasons are what really matters). Sadly, it was more lows than highs. ’91 – The miracle season capped off by the greatest World Series ever. Even losing the game 7 could not put a dark cloud on the season. We even had a parade for our lovable losers. ’92 – Two on and two out in the bottom of the ninth. Sid Bream comes lumbering around third and barely beats a weak throw by Barry Bonds. The Pirates franchise goes into a tailspin. The Braves continue their run. Another great season, but with more disappointment in the World Series. ’93 – Another disappointment, this time getting beat by a bunch of hoodlums. This year sealed my intense dislike of all things Philadelphia—specifically, when the Braves’ bus was attacked by fans after the clinching game. ’96 – The season’s World Series started off memorable: A scrawny 19-year-old kid from the Caribbean belting two home runs in the opening game, and the Braves leaving New York with a 2-0 series lead and home field advantage. Then Denny Neagle and Jim Leyritz struck. The opportunity truly to dominate the ’90s quickly slipped away. We watched the pinstripes win four straight and celebrate their first WS win 18 years. It would be the first of many I’d have to endure. ’97 – Eric Gregg – the man whose appetite was eclipsed only by his strike zone. ’98 – A truly dominant team entering the playoffs that ran into the buzzsaw that was the ’98 Padres. The errors did not help at all, and it continued the disappointment that was Braves’ postseasons in the ’90s. ’99 – Instead of the ’90s being the decade of the Braves, it belonged to the Yankees. Another embarrassing exit, with the salt in the wound being a World Series sweep. ’00 – Another division title, but still no ring to show for it. The “at least we”-excuses begin. Here: At least we did not lose to the Mets. ’01 – The team that was built on pitching was absolutely destroyed by a team with even better pitching. At least we did not lose in the wild-card round. ’03 – A year marked by an explosive offense, only to be completely shut down by superior pitching. At least we made it to the playoffs. ’04 – The only highlight of this short postseason stint was watching Rafael Furcal hit a home run to help win game 2 against the Astros. 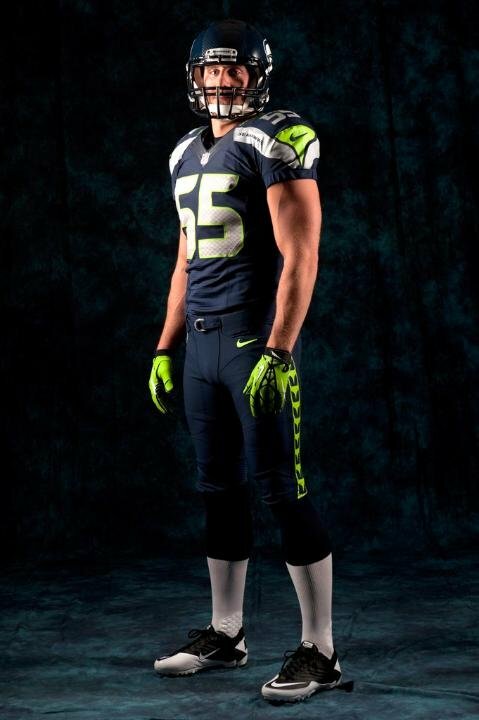 As soon as the season ended, he was to start a jail sentence for drunk driving. He delayed it by at least 2 days. At least we made it five games. ’05 – The end, though no one knew it yet. The night the Braves lost to the Astros in extras—after being ahead 6-1. At least we had a good run.